Also this will be a short post as it will just describe the problem we ran into with my current customer and what the solution was. The problem we ran into was that after we deployed a new machine we could advertise software to it, but the installation would never start. Looking into the execmgr.log we could see the following message: “This program cannot run because a reboot is in progress or software distribution is paused.”. We’re still not quite sure what caused this problem, but it seems to be something with ending a Task Sequence with a restart. After resolving the issue we found some other people with the same issue here and they are also guessing and linking it to the last step of the Task Sequence. 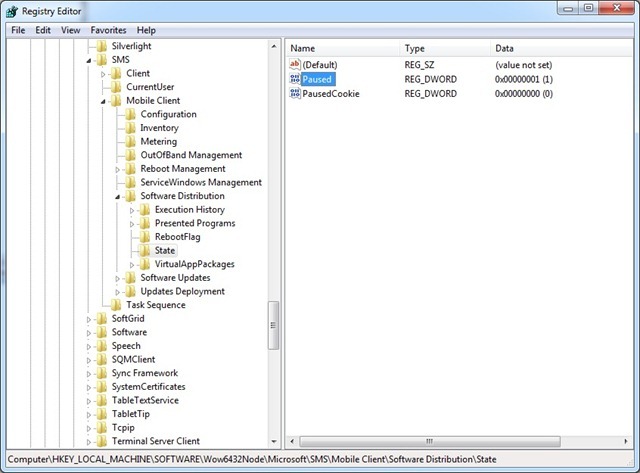 System Center 2012 Configuration Manager RC2 is available!